Siqnal is a complete Material Management System that covers typical areas of Material Management Software, Raw Material Management Software, Bill of Material Software and Bill of Material Management Software. Material Management Software means the ability to control materials, which is covered in Siqnal with the modules like Stock, Bill of Materials, Quotes, Orders, Projects, Purchases and Shipping. Material Management System: Ability to control materials. Raw Material Management Software means the ability to control raw materials, where consumption is typically controlled per unit. In Siqnal, raw materials consumption is controlled by consumption of pcs, m (meters) and m2 (square meters). Material Management System: Controlled by consumption unit. Bill of Material Software means software the focus on creation of Bills of Materials. 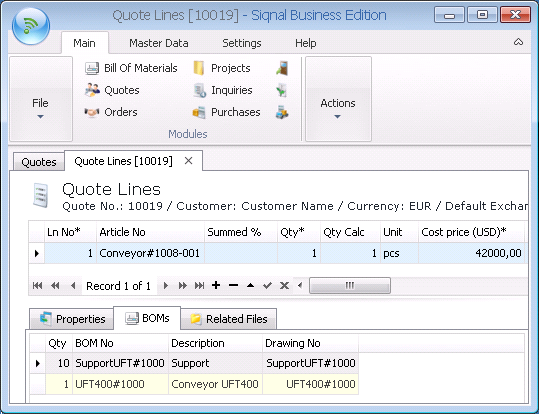 Siqnal supports all types of Bills of Materials (BOMs) like: BOMs for use on quotes, orders, mass and order production, and projects. 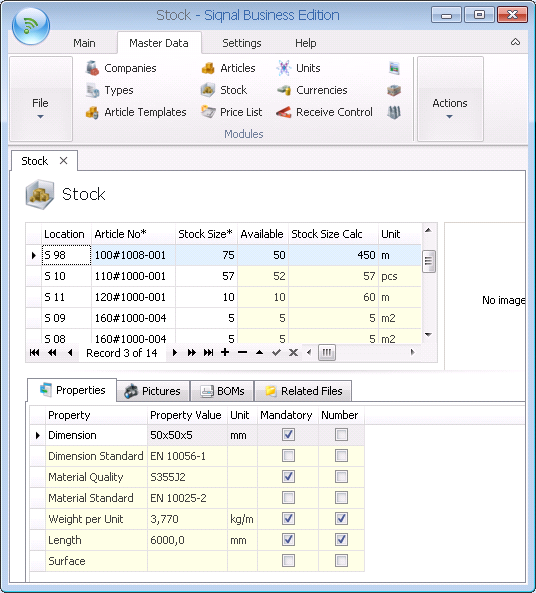 Material Management System: BOMs for use on Quotes. 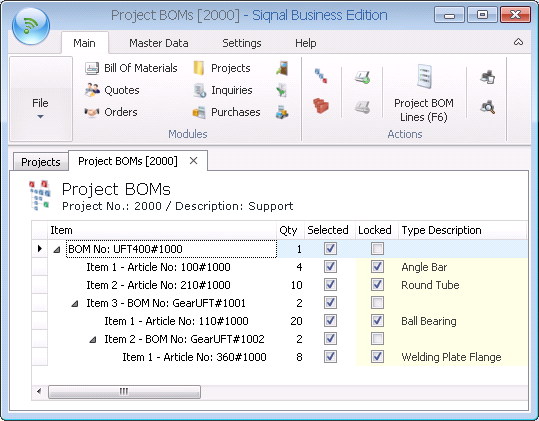 Material Management System: BOMs for use on Projects. Bill of Material Management Software means software that covers creation and maintenance of Bills of Materials focused on the ability to consume BOMs in a specific context. 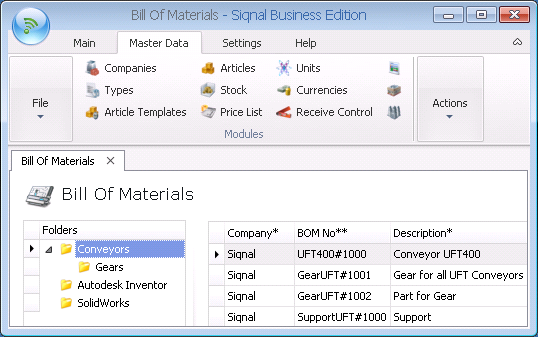 Siqnal has folder structures for Bill of Materials and Siqnal can control when BOMs are allowed to be edited and has locking mechanisms that ensures consistency by locking BOMs to disallow two users to edit the same BOM at the same time. Material Management System: Folder structures. Material Management System: Allowed to be edited - Read only. Material Management System: Locking mechanisms.